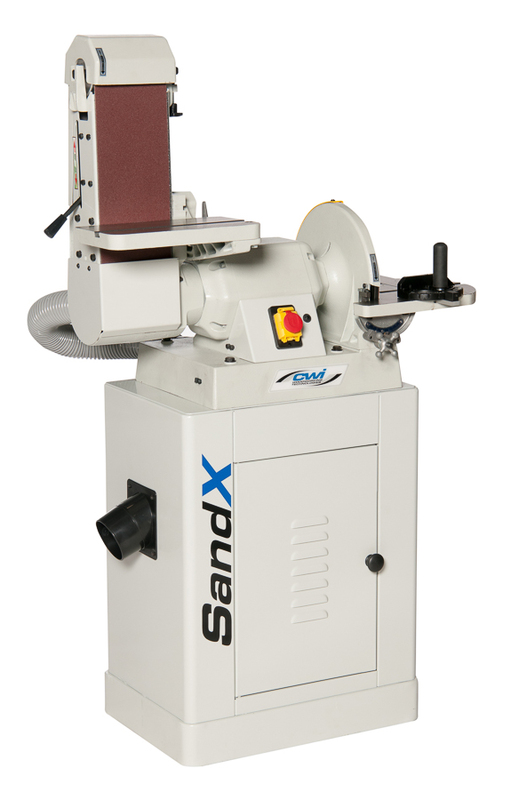 SandX produces a full range of sanding equipment for commercial shops and educational needs. All of the SandX sanders are built with class leading features and high performance components woodworkers would expect from a high quality manufacturer. 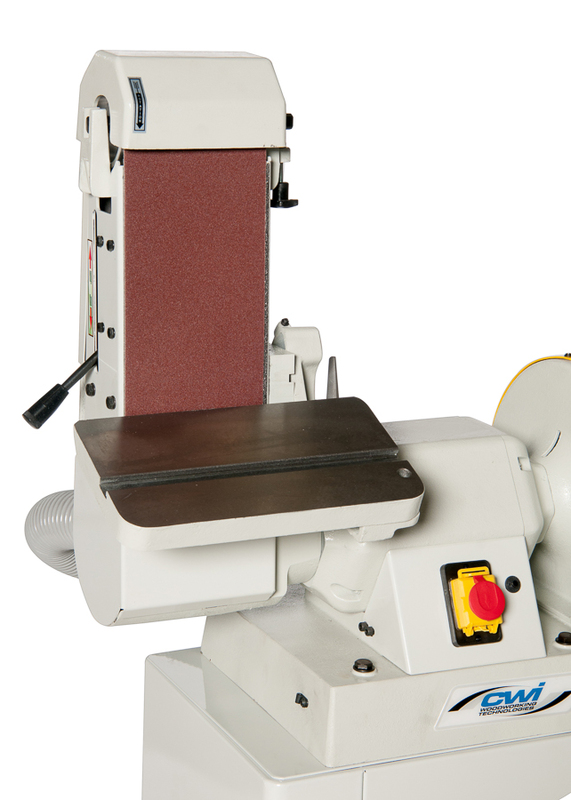 The SandX CWI-S6048XS heavy duty belt and disc sander is built for educational and industrial needs. It utilizes a 6” x 48” sanding belt and a 12” sanding disc for general off hand sanding, squaring and smoothing of solid woods and metals. The sanding belt operates either in a vertical position or in a horizontal position depending on the needs of the operator. The sanding belt and sanding disc both have large cast iron tables to hold the work piece while sanding. 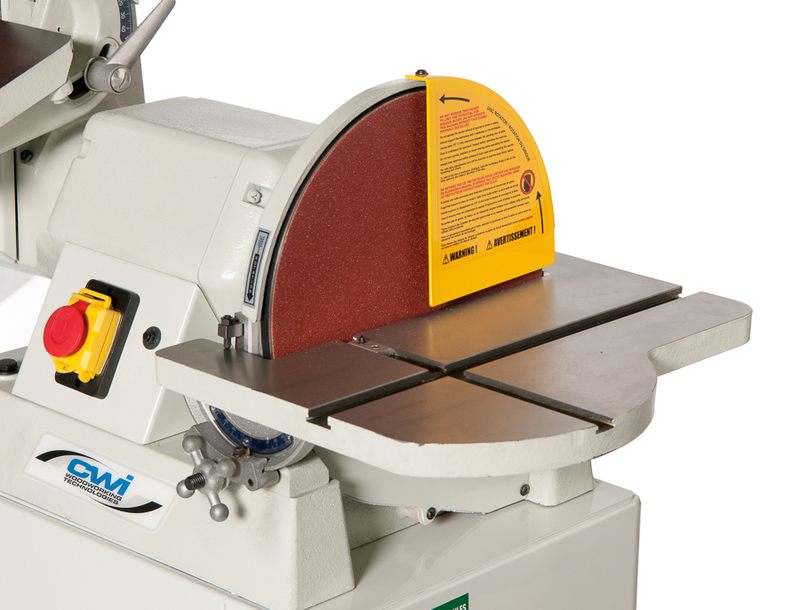 The table for the sanding belt measures 6” x 10” wide and 7” x 16” wide for the sanding disc. Both tables tilt up to 45 degrees for angled work and a miter gauge is also supplied to be used on either table. The CWI-S6048XS utilizes a very strong 1.5 HP 110/1/60 13 amp motor with thermal overload protection and a magnetic safety switch for safe use in educational or industrial settings. The sanding belt runs cooler because of a graphite backing supplied along the 18” steel platen underneath it. 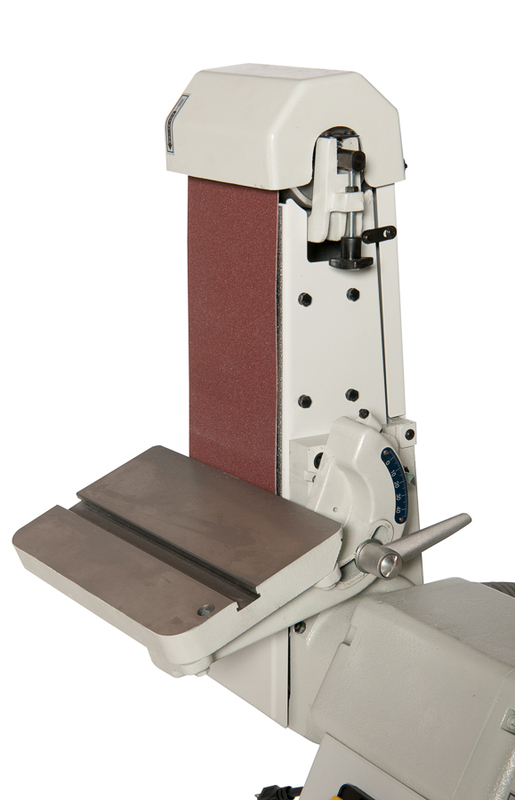 The sanding belt can be in a flat, vertical or angled position for most any sanding application. To rotate the sanding belt to a specific angle or to lay it flat a locking bolt is loosened and then retightened once the sanding belt is in the desired position. When operating in the flat position an auxiliary fence is provided which mounts to the cast iron frame allowing better control of the work piece. The frame of the machine is cast iron mounted to a solid steel welded stand with a storage compartment for sanding belts and discs. 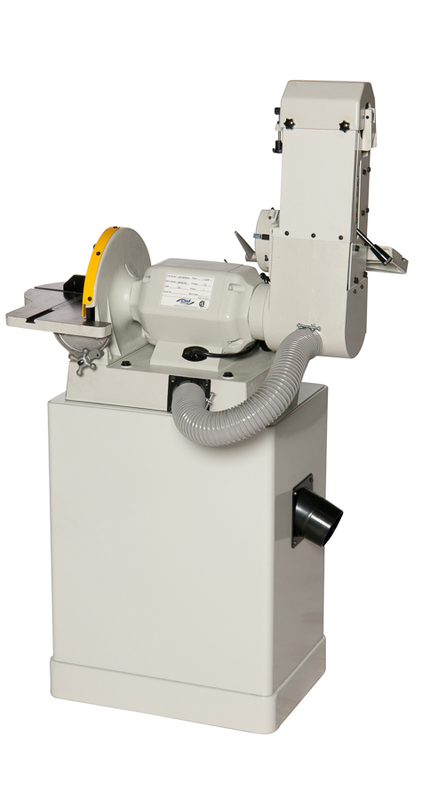 For adequate dust collection the SandX belt and disc sander requires 400 CFM utilizing a single 4” hose connection port which connects to both belt and disc sanding stations. 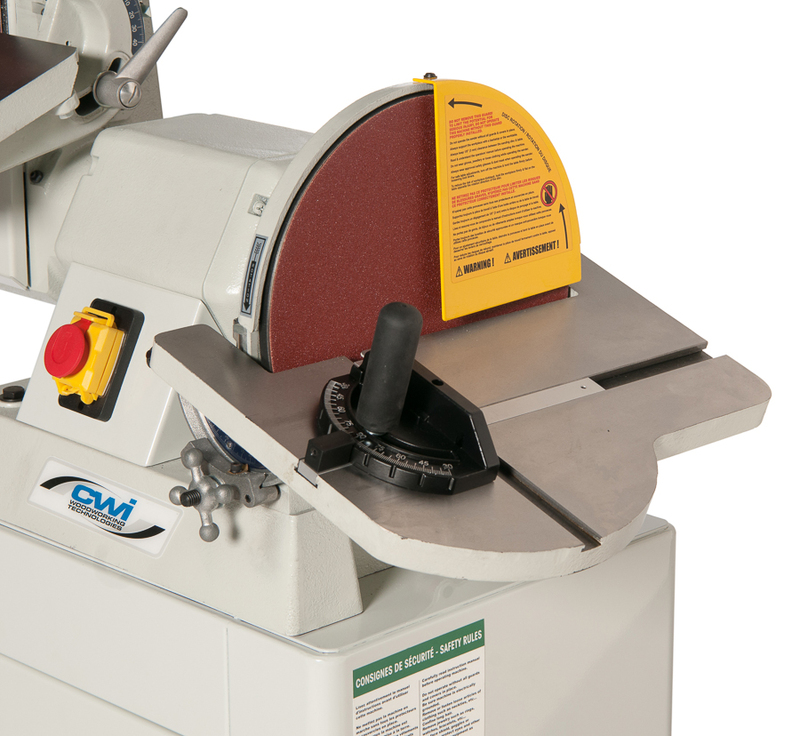 The SandX CWI-S6048XS heavy duty belt and disc sander is an excellent all-purpose machine providing features and performance woodworkers and educators will truly appreciate.